Many medical cannabis patients dream of a day when they can fill a prescription for their medicine at a pharmacy and have their insurance company pay for it. That last part – reimbursement for the cost of medical cannabis – just became a reality, at least for one New Mexico patient. Gregory Vialpando, a Santa Fe car mechanic with a lower back injury sustained in 2000, uses medical cannabis to treat severe chronic pain his doctor describes as some of the worst he has ever seen. Mr. Vialpando was initially prescribed multiple narcotics and anti-depressants, but both his primary care provider and another doctor recommended medical cannabis, so he asked a state workers’ compensation judge to approve it in 2013. 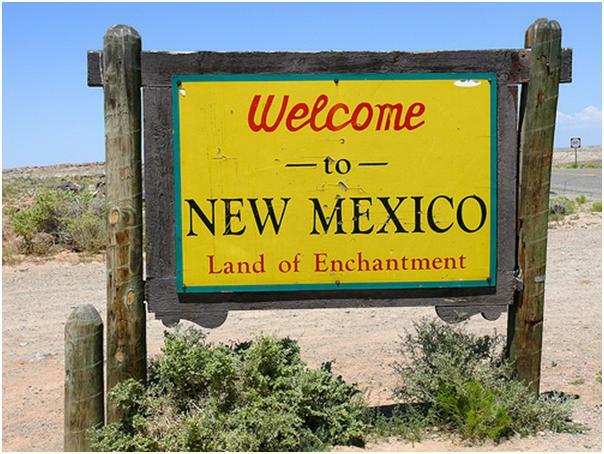 The judge ruled that he was qualified to participate in New Mexico’s medical cannabis program, that it was necessary and appropriate medical treatment, and that he should be reimbursed for the cost of his medical cannabis. His former employer and its insurance company refused. In appealing the decision, they argued that they shouldn’t have to pay, because doing so would violate federal law and public policy. On Monday, the New Mexico Court of Appeals ruled unanimously that they have to pay up. Writing for the court, Judge James Wechsler pointed out that neither the employer nor the insurance company could name a federal law they would violate by reimbursing Mr. Vialpando for the cost of his medicine. In another first, the state appeals court ruling cited the Department of Justice’s 2013 memo from Deputy Attorney General Cole in rejecting the argument that reimbursement for the cost of medical cannabis treatment would violate federal public policy. The court noted the DOJ’s intent to defer to state and local authorities and stated that New Mexico public policy is clear. The Lynn and Erin Compassionate Use Act established a regulated program for the beneficial use of medical cannabis for patients just such as Gregory Vialpando. Participating in that program does not mean he sacrifices his right to reimbursement for care under the Workers Compensation Act; on the contrary, the court affirmed that the New Mexico medical cannabis program is covered by workers’ comp. While this case is about one patient, one state, and a workers comp claim, the precedent may still be far reaching. Recognition that state programs are operating in harmony with federal enforcement guidelines, as ASA’s analysis of the Cole Memo revealed, can be the basis for expanding patient rights. Insurance companies have been hiding behind federal prohibition at the expense of patients. The cost of medical cannabis is an issue for many patients. The sicker or more seriously injured you are, the more you are likely to end up spending, and the less likely you are to be able to afford it. (That’s why allowing personal cultivation is a critical part of any compassionate regulatory program.) And it’s why so many patients would like their health insurance to cover it.